J.O. Spice Company is a family-owned manufacturer of crab and seafood seasonings. 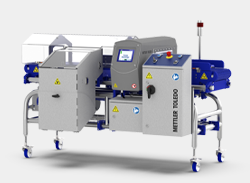 To help ensure final product quality, the company installed a new Signature Touch metal detector from METTLER TOLEDO Safeline. J.O. 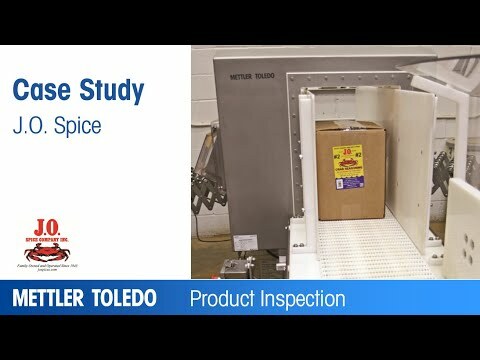 Spice needed a new metal detector with a tall aperture as they prepared to set up a fully automated packaging line. With their old metal detector, boxes needed to be manually laid down on their side and then stood back up for palletizing. They selected a new Signature Touch with an aperture size of 14 inches wide and 20 inches tall, so 25 to 50 lb. bulk boxes and cases of retail packs can go through the system upright. “Equipment in our facility needs to be tough. Not only is it hot in the summer and cold in the winter, but the salt in our products also creates a harsh environment because salt is corrosive. 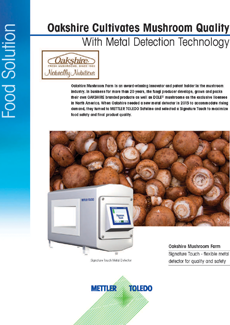 The Signature Touch runs wonderfully thanks to its well-sealed electronics and wash-down capabilities,” said Ports. Identifying both ferrous and non-ferrous metals, this system finds even the most difficult to detect non-magnetic stainless steel fragments and non-spherical fine wire. 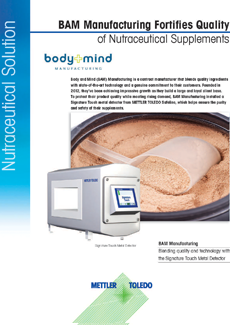 With high frequency advanced coil technology and state-of-the-art electronic filtering techniques, it maximizes detection sensitivity and minimizes false rejects. *Note: The Signature Touch model is only available in the US. 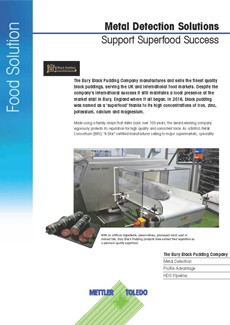 The Bury Black Pudding Company manufactures and sells the finest quality black puddings, serving the UK and International food markets. 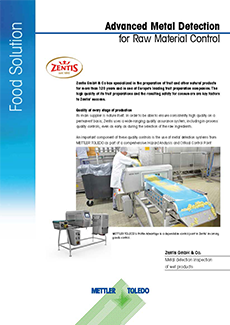 METTLER TOLEDO’s Profile Advantage is a dependable control point in Zentis’ incoming goods control.